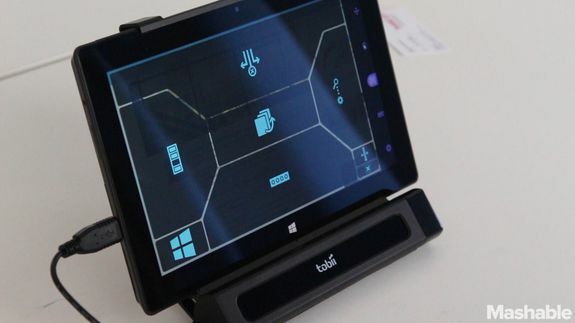 Tobii Lets You Control a Tablet With Your Eyes - trendistic.com: ever tried. ever failed. no matter. try again. fail again. fail better. Tobii‘s eye-tracking technology can make using a PC slightly more “natural,” reading your eye movements to, say, scroll without needing to move a mouse. But for the disabled, it can be revelatory, allowing people with disabilities to use virtually all the abilities of a computer without ever touching it.